Price For: Each Fuel Type: Gas Item: Snow Blower Engine Brand: Ariens Polar Force Pro by Briggs & Stratton Drive Type: Disc-O-Matic Clearing Path: 32" Inlet Height: 23.5" Displacement: 420cc Wheel Dia. : 16" Drive Gears: 6 Forward / 2 Reverse Auger Diameter: 16" Start Type: Electric / Recoil Wheel Width: 6-1/2" Stages: 2 Torque: 21 ft.-lb. When the snow has been cleared, Zoro also has ice melt, ice scrapers and other tools to help finish off the job. Take a look at the features for Ariens Snow Blower. Fuel Type: Gas, Drive Type: Disc-O-Matic. Last updated: April 20, 2019 at 23:08 EST. Pricing information is provided by the listed merchants. GoSale.com is not responsible for the accuracy of pricing information, product information or the images provided. Product prices and availability is subject to change. Any price and availability information displayed on amazon.com or other merchants at the time of purchase will apply to the purchase of the product. As always, be sure to visit the merchant's site to review and verify product information, price, and shipping costs. GoSale.com is not responsible for the content and opinions contained in customer submitted reviews. 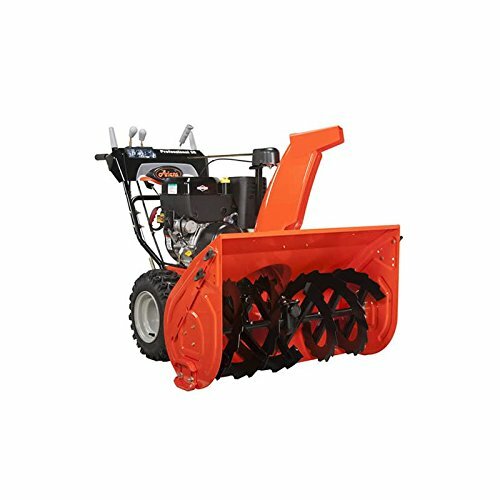 Find similar products to the ARIENS PRO. 32" 420cc 2-Stage Snow Blower 926071 "SHIPS FREE"